A woman from the Pittsburgh PA area suffered serious but non-life threatening injuries in late March when a tractor trailer slammed into her at an intersection in Canonsburg PA. The local police said that she was driving on Morganza Rd. in Canonsburg when a big rig coming from Weaverton Rd slammed into her car on the right side. The force of the impact sent her car flying across the road over the embankment and into a Walgreens parking lot. The truck driver told witnesses that the brakes on his truck went out. The victim was taken to a local hospital and is in stable condition. Police continue to investigate the accident. 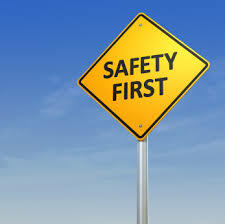 Many truck drivers fail to do regular safety inspections of their rigs, leading to serious accidents. Our truck accident lawyers have represented clients who were injured by truckers who failed to do regular safety inspections, such as this $650,000 jury verdict. The truck had bald and worn tires that should have been replaced, which led to a sudden tread separation that caused the truck wreck.